On the top of a hill dominating the Valdera, in the area commonly known as the Colline Pisane, the Pisan hills, sits the medieval village of Peccioli. Surrounded by vineyards, olive groves and green gently rolling hills, the town boasts the Orange Flag trademark, the award bestowed by the Italian Touring Club (TCI) association to those villages with outstanding hospitality and touristic services. Built around the ruins of a medieval castle, today the heart of Peccioli throbs around the 11th-century church of the Pieve di San Varano. The façade of the Church has five blind arcades and Lombard bands and a bell tower built in 1885 which, from afar, is the distinguishing feature of Peccioli. The church overlooks the main square, Piazza del Popolo, which also comprises a lovely open gallery, the town hall and the Palazzo Pretorio. This medieval palace was renovated between the 18th and 19th century and bears on its façade the 19 coat of arms of the families of notables and podestà who during the centuries here held the reins of power. Today the palace is the seat of the Museum of Russian Ikons. The museum opened in the year 2000 thanks to the donation of 60 Russians icons by journalist Francesco Bigazzi, for many years correspondent from Moscow, and is entitled to him. In another square, Piazza del Carmine, is the Archaeological Museum of Peccioli which preserves the Etruscan findings that were found in the surroundings. The most precious piece of the collection is an Attic red-figure kylix made by the famous Greek vase painter Makron, who was active in Athens ca. 490-480 BC. Outside Peccioli a huge tourist attraction is the Prehistoric Park. 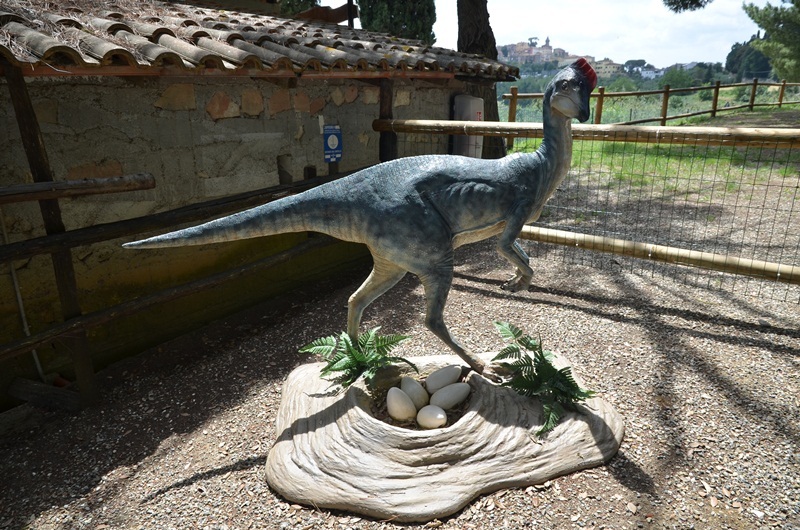 Here families will find an incredible playing area for their children with life-size models of dinosaurs and also learn something from the many fossils found on site. 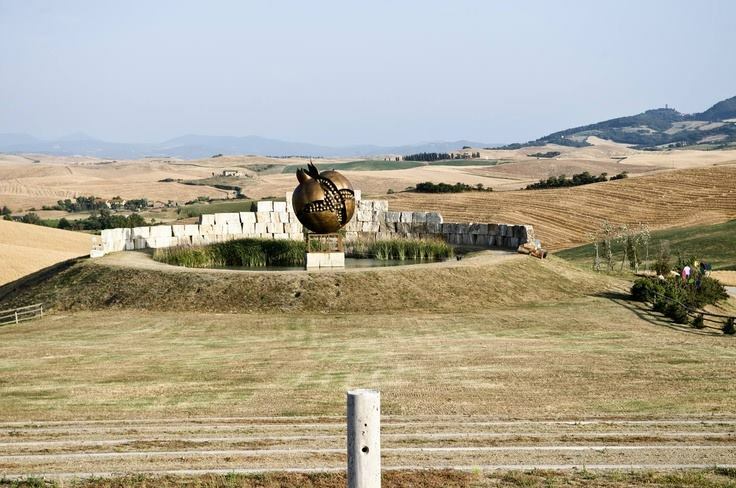 Nearby is also the Teatro del Silenzio of Lajatico, the open air amphitheatre where Italian tenor Andrea Bocelli, born here, holds a concert every year. 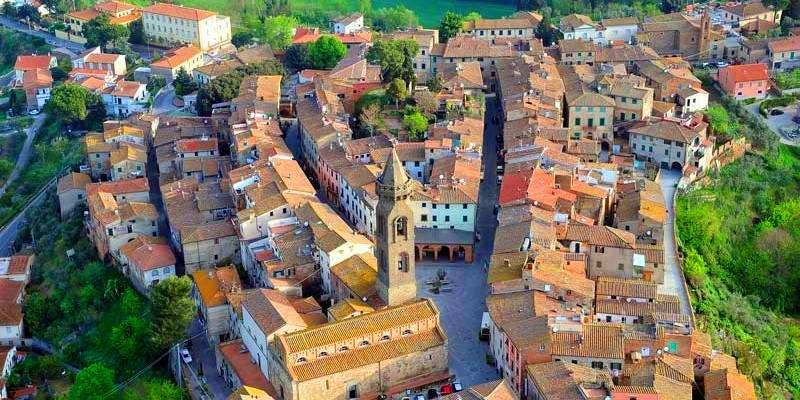 Very near Pisa and Volterra, Peccioli is also in an excellent position for daily trips to Florence and Siena. Among the many holiday accommodations in the area, this time we would like to draw your attention to this magnificent luxury villa for eleven people with swimming pool just outside Peccioli. Certainly a place where to spend your dream holiday. 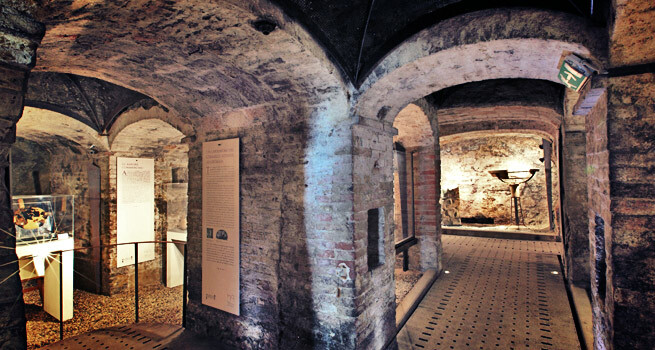 Questa voce è stata pubblicata in Accommodations in Tuscany, Accommodations in Valdera, Archaeology in Tuscany, Tuscan towns and cities, Valdera, Villas in Tuscany e contrassegnata con Lajatico, Museo delle Icone Russe F Bigazzi, Peccioli, Pisa, Teatro del Silenzio. Contrassegna il permalink.